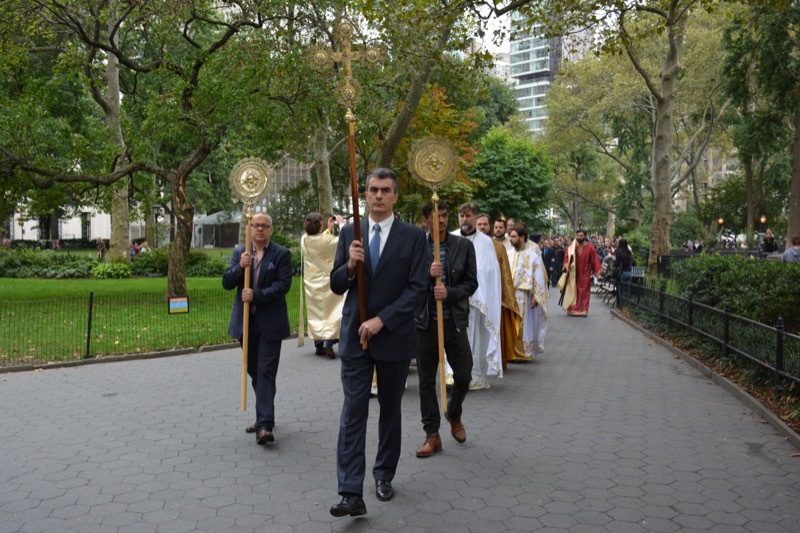 An exclusive invterview with Protojerej-Stavrophor Dr. Zivojin Jakovljevic, Dean of St. Sava Cathedral, New York City by Vesna Pumpalovic, Balkan Express. At Easter this year the New York parish experienced a great dislocation. 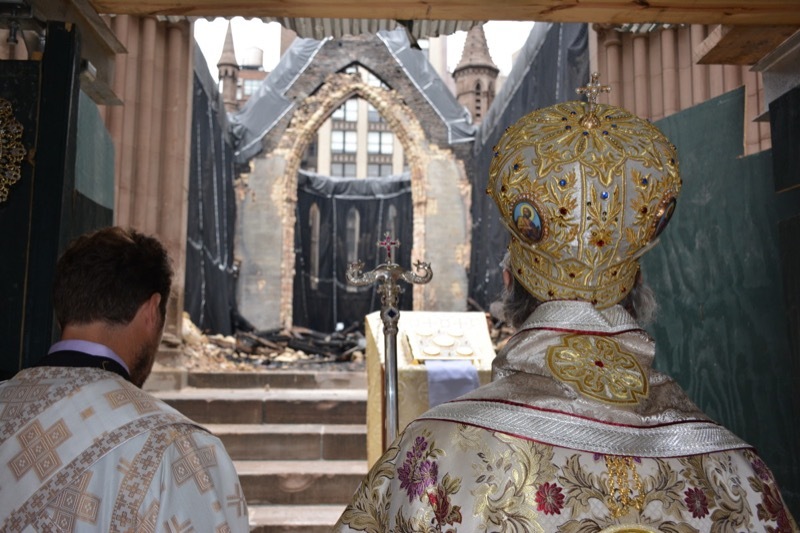 The only Serbian Orthodox church in the New York City area caught fire, and since then the services are taking place in Episcopalian or Greek church buildings. Protojerej-Stavrophor Dr. Zivojin Jakovljevic was appointed dean of the Cathedral in August, and appointed as second priest was Protojerej Vladislav Radujkovic, who had already served this parish earlier. 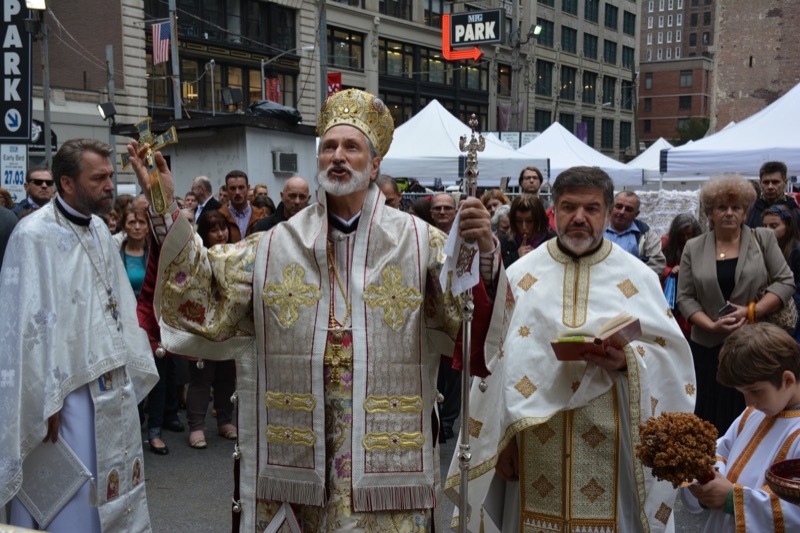 Bishop Mitrophan was transferred to Canada, while Bishop Irinej (Dobrijevic) assumed the position of Bishop of Eastern America. Protojerej-Stavrophor Dr. Zivojin Jakovljevic agreed to a request from the publication Balkan Express for an interview, and here is what we discussed. Fr. Zivojin, as the new dean of the Cathedral, tell us, with all these changes, what kind of challenges have faced you and the church community? 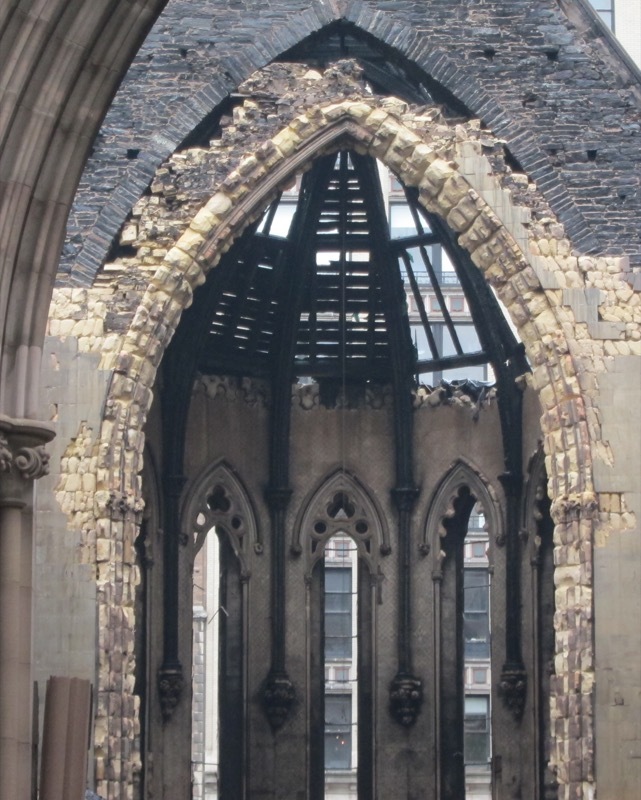 Has it been confirmed that the walls of the burnt church do not need to be torn down, but rather strengthened? That is true. Not only have the walls remained strong, but the fire whitened them and cleaned them of soot. Tracking the status of the walls and foundations since the fire, the engineers have confirmed that up to now there has been no movement. Therefore our goal is essentially to put the church “under roof” as soon as possible. Since May many activities have been organized to raise funds for the rebuilding of the church. How much has been collected, and how much more is needed? It is of utmost importance for us to know that God is with us. In the same way it is also important for us to do our part to be with Him. I am convinced that, while money is necessary to pay for labor and material, in fact money has never built our holy places. Faith, integrity, the will of the people, worthiness and goodness have built our shrines. If we have these, the church will renew itself. If we are not inspired by all these virtues, no amount of money will preserve either us or the church. That is why the words of St. John Chrysostom are certainly appropriate, that better a crust of bread in concord and trust than abundance in friction amid discord. The media have reported that the restoration will be aided by, among others, the government of Serbia, and recently even the Templars have been mentioned. Who has offered help so far, and who has actually helped? What kind of activities and events ar you planning concerning the spiritual renewal and security of the parish? Are classes being held at the Serbian school? If I were to single out the three basic structures which need to survive, and which cannot be abandoned, I would say: the church, the church hall, and the school. By the church we understand first of all the divine services, care for the faithful, their spiritual advancement and concern for them in general. I have been most pleasantly surprised by how even now, among these difficult circumstances, the people continue to come to the services regularly and continue to celebrate their slavas (Patronal Feasts). That speaks to the fact that our people have remained faithful to the traditions they have brought with them from the homeland and their respect for the divine services. Second, that we hold to our language and that we attempt in every way to preserve it. When the school year began, we engaged teachers and parents in opening a Serbian school. In addition to language, the school children also receive religious education. Religion is not taught in a traditional class, where the teacher lectures and the children listen. Rather, it is a very practical program in which all the students actively take part. And the goal of this class is to show that the essence of our faith is first of all and above all, love. Our children are our present, without whom there is no future. All our work, support, good will and sacrifice will be returned a hundred-fold. Our common goal is to maintain and protect these three structures: the church, the church hall, and the school, and we leave it to Almighty God to protect us.